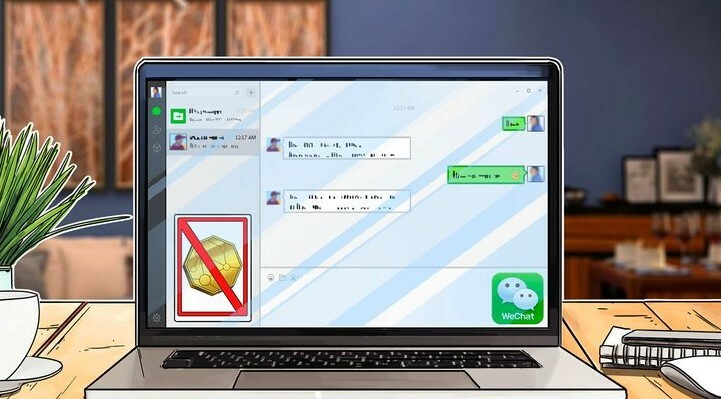 WeChat, the 1 billion-user Chinese social media platform developed by Tencent, has reportedly blocked a number of crypto and blockchain related accounts, local financial news outlet Lanjinger reported August 21. Lanjinger quotes a WeChat official as saying that some public accounts were suspected of publishing Initial Coin Offering (ICO) and crypto trading “hype” in violation of the service’s “Interim Provisions on the Development of Public Information Services for Instant Messaging Tools” terms. The official said that official orders had been given to block all content and permanently block the relevant accounts. The interim provisions cited by WeChat were notably only recently introduced by the Cyberspace Administration of China on August 7. Deepchain, Huobi News, Node Capital-backed Jinse, and CoinDaily are among those who have been affected, according to Lanjinger. Coindaily’s site claims its official WeChat channel had over 100,000 users as of June 2018, and several other blocked sites were reportedly among the top 50 most influential blockchain-related accounts on the platform, Lanjinger writes. The number of total sites blocked remains unconfirmed, with one user claiming to have identified 8, although Lanjinger’s article implies the action has been more widespread. As of press time, Huobi and CoinDaily have not responded to Cointelegraph’s request for comment. As Cointelegraph has previously reported, this is not the first time WeChat has blocked accounts from the crypto space. In May, the service suspended a third-party application a day after the launch that would have allowed WeChat users to create contract agreements and a unique social media ID using blockchain technology. Blockchain News Group is a media site focused on providing readers with news and content on the latest trends and happenings in the blockchain and crypto currency sector.